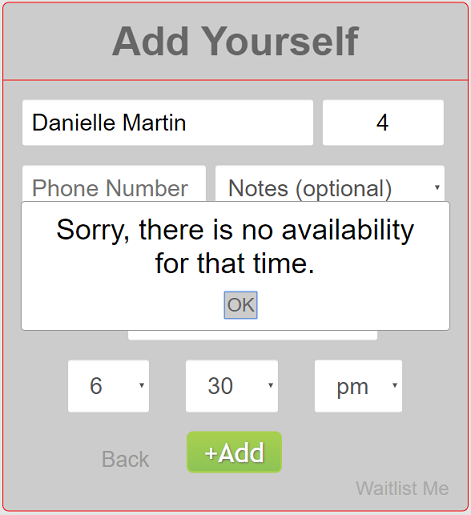 For businesses looking to automate more of the reservation acceptance process, Waitlist Me has new ways to restrict how many reservations you accept by day and by hour. 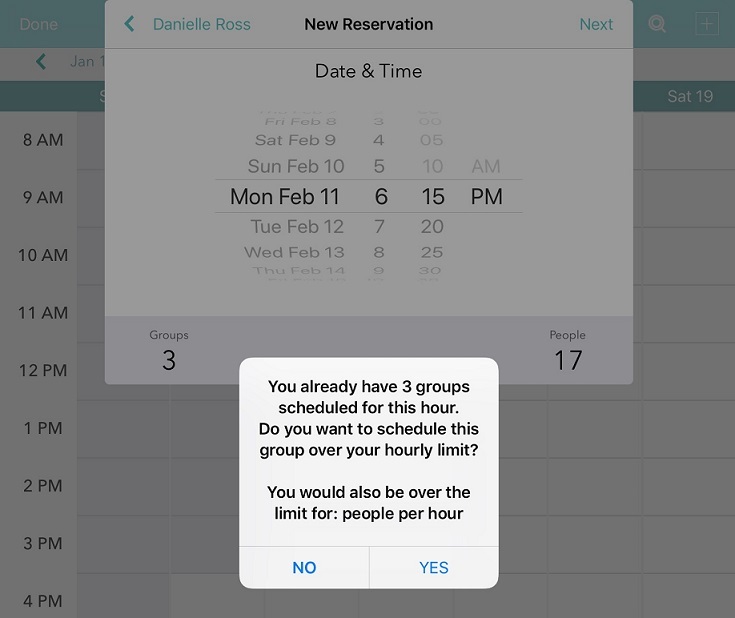 With a Waitlist Me Proo subscription, you can set reservation limits on the number of groups and people that you’d like on an hourly and daily basis. 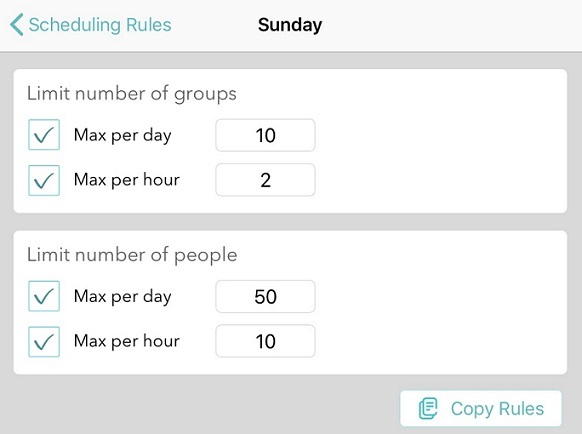 For example, if you don’t want any more than 4 groups to schedule themselves per hour, you can quickly set up that rule. Simply press the gear icon in the app and head to Add Yourself > Scheduling Rules. Choose a day and you will be able to set the maximum number of people and groups you’ll allow by day and by hour. There are four different options, but you can pick and choose the ones that work for your goals in managing capacity at your business. You can avoid having too many people schedule at the same time without all the work of tracking the usage of every single table at your restaurant or resource at your business. You can use the Copy Rules button at the bottom to apply these rules to every day, or set up each day separately. That’s it! Your rules will apply to self scheduling done through the Web Widget and Kiosk, where customers will see a message when there isn’t availability for a particular time or day. They wouldn’t be able to book that time, but could still check other times. The rules will also trigger warnings within the Waitlist Me app if you try to schedule above the limit to make it easier to know when you might be overbooked. Though it won’t block you from scheduling above the limits for cases where you know you can handle the booking.